Music is a journey to me… I love taking the educational tour down that creative road and exploring all the intersections as they form into one soulful passage. You may not always like everything you see along the way, but there’s usually something interesting to talk about. This DVD featuring country music legend Willie Nelson and Pulitzer Prize-winning jazz artist Wynton Marsalis is the second collaboration for the duo. The first occasion was two years prior and resulted in the album “Two Men With The Blues.” This time they show even more in common by sharing their admiration and mutual respect for the late music mastermind Ray Charles. There are three great musical art forms in America that really come from the grassroots, and that’s jazz, country and blues. All three intersect together in Wynton Marsalis, Willie Nelson and Norah Jones. It’s a perfect collaboration, and each one of them is a leader in their own art form. 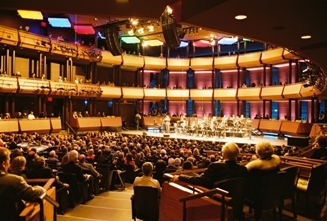 Commonly known as “The House of Swing,” this hall is the world’s first performing arts institution devoted entirely to jazz. And it’s New York City’s Jazz at Lincoln Center home and the setting for this rare two-night performance. Along with the charming and talented Norah Jones, all these wonderful performers explore the legacy of Charles by weaving a collection of 15 songs that tell the story of a love affair through its many stages. This cool blend of musical styles creates a unique atmosphere that I found very intriguing indeed. The tone is set with “Hallelujah (Boy I Love Her So),” featuring Nelson’s long time harmonica player Mickey Raphael along with some improvised guitar riffs by Willie and company. Norah Jones is introduced for the song “You Are My Sunshine,” which is played in an exclusive and dissimilar manner. Nelson then leaves the stage for Jones to sing lead for the number “Come Rain or Come Shine.” Mellower than the previous selections, it brings to mind those smoky fifties jazz club metaphors. “Unchain My Heart” one of my favorite tunes Ray Charles recorded features extensive solos from Raphael and drummer Ali Jackson. The entire show has a very loose, spontaneous vibe. From “Crying Time,” “Hit The Road Jack,” “You Don’t Know Me” to “What I’d Say,” and the closer “That’s All,” there’s some fantastic moments on this DVD that take the viewer on a sundry adventure. What words come to mind when you think of the work of Ray Charles? Do you have any favorite songs of Ray Charles that bring back memories for you? Your comments are always welcome. Love it brother, another fine article. It’s great to see these people working together to honor a man and his music. I have been a fan of every person you mention in this article and always will be. Thank you BluesBlogger for all your hard work. I love the reverence you show toward these great people of the music industry, that alone tells me you are a man of integrity. BLESS YOU FRIEND. Whatever genius put these voices together should be accoladed. Buying the CD now, based on this blog. 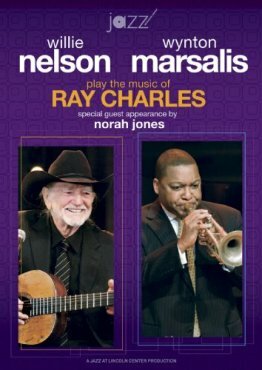 What a great post and such a wild combination of music legends… “Willie Nelson & Wynton Marsalis : Play Ray Charles”… wow !! Just goes to show ya’ Willie can “hang” with any music genre or legend !! Thanks BB for this great post ! !